The age of the Candidates age limit should be between 18 to 48 years as on 01-01-2018, Upper age relaxation as per govt. rules. Interested and Eligible candidates may apply online through the website jkpsc.nic.in on or before 16 Apr 2018. Last Date for Receipt of Application: 16 Apr 2018. The age of the Candidates age limit should be between 18 to 35 years as on 01-01-2017, Upper age relaxation as per govt. rules. Candidates should have Degree in this Recruitment process they must have passed A Bachelor of Laws of a University established by Law in India. Interested and Eligible candidates may apply online through the website jkpsc.nic.in on or before 06/03/2017. Last Date for Receipt of Application: 06/03/2017. The age of the Candidates age limit should be between 18 to 40 years as on 01-01-2016, Upper age relaxation as per govt. rules. Interested and Eligible candidates may apply online through the website jkpsc.nic.in on or before 15-01-2017. Last Date for Receipt of Application: 15-01-2017. The age of the Candidates age limit should be between 18 to 40 years as on 01-01-2015, Upper age relaxation as per govt. rules. Candidates need to pay the J&K Public Service Commission, Solina Srinagar/ Resham Ghar Colony, Bakshi Nagar, Jammu on cash payment of Rs. 500/- (excluding processing charges of Rs.10/) in respectof General Category candidates and Rs. 250/- (excluding processing charges of Rs. 10/-)in respect of Category candidates through the counters of J&K Bank opened in the offices of J&K Public Service Commission at Solina, Srinagar/ Resham Garh Colony, Bakshi Nagar,Jammu/ Srinagar in the shape of Bank Draft drawn from J&K Bank Limited only or by cash at J&K Bank counters opened in P.S.C Offices both at Jammu/ Srinagar. Candidates will be Selected on the basis of written screening test and interview. Interested and Eligible candidates may submit their application along with recent passport size photograph duly attested by the Gazetted Officer, self attested copies of relevant documents as given in the notification to Office of the Secretary, J&K Public Service Commission, Solina, Srinagar/ Resham Garh Colony, Bakshi Nagar, Jammu on or before 19-10-2015. Last Date for Receipt of Application: 19-10-2015. Candidates need to pay Rs. 505/- & Rs. 205/- for reserved categories through Challan. Interested and Eligible candidates may submit their application along with recent passport size photograph duly attested by the Gazetted Officer, self attested copies of relevant documents as given in the notification to Office of the Secretary, J&K Public Service Commission, Solina, Srinagar/ Resham Garh Colony, Bakshi Nagar, Jammu on or before 23-03-2016. Candidates need to pay Rs. 505/- and Rs. 255/- for reserved categories through Challan. the amount of fee to be deposited in the J&K Bank branch. Interested and Eligible candidates may apply Online through the website http://www.jkpsc.nic.in/ from 04.03.2016 to 04.04.2016. Interested and Eligible candidates may apply online through the website jkpsc.nic.in on or before 21-04-2016. Interested and Eligible candidates may apply online through the website jkpsc.nic.in on or before 25-04-2016. Interested and Eligible candidates may apply online through the website jkpsc.nic.in on or before 30-05-2016. 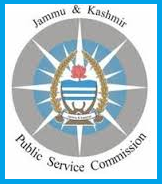 0 Response to "JKPSC Vacancy of Consultant in Health & Family Welfare Department 2018 For 95 Post"